Dr. Guise's research interests encompass skeletal and muscular complications of malignancy and the effect of cancer treatment on musculoskeletal health. The lab addresses a wide range of important questions such as androgen deprivation for prostate cancer and aromatase inhibitors for breast cancer, and the effect on bone mass and progression of bone metastasis. The laboratory is focused on understanding the molecular mechanisms by which tumor cells interact with bone to cause either bone destruction (osteolytic metastases) or new bone formation (osteoblastic metastases). 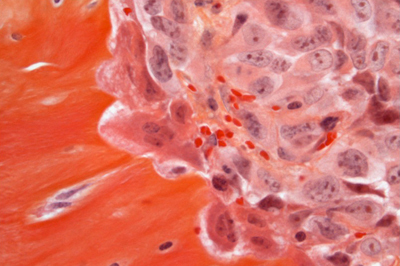 The lab uses a wide array of specialized techniques including X-ray and microCT imaging, histomorphometry and muscle physiology to study the effects of bone metastatic disease using human tumor animal models.